AUTO-DIMMING MIRRORS I.C.W. DRIVER MEMORY PACKAGE, LANE CHANGE ASSIST (LCA), PANORAMIC ROOF SYSTEM, PORSCHE CONNECT, PORSCHE ENTRY & DRIVE, SEAT HEATING (FRONT), SMOKING PACKAGE, DRIVER MEMORY PACKAGE, 18" MACAN WHEELS, PORSCHE DOPPELKUPPLUNG (PDK), AGATE GREY METALLIC, POWER 8-WAY SEATS, STANDARD INTERIOR IN BLACK. Certified. New Price! Porsche Approved Certified Pre-Owned Details: * Roadside Assistance * Warranty Deductible: $0 * Transferable Warranty (between private parties) * 111 Point Inspection * 2 year/Unlimited miles beginning after new car warranty expires or from certified purchase date. Includes Trip Interruption reimbursement Gray 2018 Porsche Macan AWD 7-Speed Porsche Doppelkupplung (PDK) 2.0L I4 Turbocharged Passion, Pride and Performance provided by Porsche of New Orleans. Experience the Ray Brandt difference! 20" RS SPYDER DESIGN WHEELS, SPORT EXHAUST SYSTEM INCL. TAILPIPES IN SILVER, WHEEL CENTER CAPS WITH COLORED PORSCHE CREST, SIDE BLADES IN EXTERIOR COLOR, LANE CHANGE ASSIST (LCA), PORSCHE DYNAMIC LIGHT SYSTEM (PDLS), SMOKING PACKAGE, BOSE SURROUND SOUND SYSTEM, PORSCHE DOPPELKUPPLUNG (PDK), PORSCHE CONNECT, AUTO-DIMMING MIRRORS I.C.W. DRIVER MEMORY PACKAGE, POWER SEATS (14-WAY) WITH MEMORY PACKAGE, PREMIUM PACKAGE PLUS, STANDARD INTERIOR IN BLACK. Certified. Porsche Approved Certified Pre-Owned Details: * 2 year/Unlimited miles beginning after new car warranty expires or from certified purchase date. Includes Trip Interruption reimbursement * Roadside Assistance * Transferable Warranty (between private parties) * 111 Point Inspection * Warranty Deductible: $0 Rhodium Silver Metallic 2018 Porsche Macan AWD 7-Speed Porsche Doppelkupplung (PDK) 2.0L I4 Turbocharged Passion, Pride and Performance provided by Porsche of New Orleans. Experience the Ray Brandt difference! VOLCANO GREY METALLIC, PANORAMIC ROOF SYSTEM, HEATED AND VENTILATED FRONT SEATS, PORSCHE ENTRY & DRIVE, LANE CHANGE ASSIST (LCA), 20" RS SPYDER DESIGN WHEELS, PORSCHE DOPPELKUPPLUNG (PDK), PORSCHE CONNECT, POWER SEATS (14-WAY) WITH MEMORY PACKAGE, STANDARD INTERIOR IN BLACK. Certified. Porsche Details: * Transferable Warranty (between private parties) * 111 Point Inspection * Warranty Deductible: $0 * 2 year/Unlimited miles beginning after new car warranty expires or from certified purchase date. Includes Trip Interruption reimbursement * Roadside Assistance Volcano Gray Metallic 2018 Porsche Macan AWD 7-Speed Porsche Doppelkupplung (PDK) 2.0L I4 Turbocharged Passion, Pride and Performance provided by Porsche of New Orleans. Experience the Ray Brandt difference! 20" RS SPYDER DESIGN WHEELS, AUTO-DIMMING MIRRORS, BOSE SURROUND SOUND SYSTEM, DOOR HANDLES IN BLACK (HIGH-GLOSS), NAVIGATION MODULE FOR PORSCHE COMMUNICATION MANAGEMENT (PCM), PORSCHE CONNECT PLUS, PORSCHE CREST ON HEADRESTS (FRONT), PORSCHE DYNAMIC LIGHT SYSTEM (PDLS), PREMIUM PACKAGE, PREPARATION FOR DELETION OF MODEL DESIGNATION, PREPARATION FOR DEVIATED SEAT CENTERS, SPORT TAILPIPES IN BLACK, WINDOW TRIM IN HIGH GLOSS BLACK. Priced below KBB Fair Purchase Price! Agate Gray Metallic 2018 Porsche Macan S AWD 7-Speed Porsche Doppelkupplung (PDK) 3.0L V6 Passion, Pride and Performance provided by Porsche of New Orleans. Experience the Ray Brandt difference! ORIGINAL MSRP $65,250, 20" RS SPYDER DESIGN WHEELS, AIR SUSPENSION INCL. PORSCHE ACTIVE SUSPENSION MANAGEMENT (PASM), LANE CHANGE ASSIST (LCA), POWER SEATS (14-WAY) WITH MEMORY PACKAGE, PREMIUM PACKAGE PLUS, SEAT BELTS IN GARNET RED, SIDE BLADES IN EXTERIOR COLOR, SMOKING PACKAGE, ABS brakes, DVD-Audio, Electronic Stability Control, Front dual zone A/C, Front Seat Ventilation, Heated door mirrors, Heated front seats, Heated rear seats, Illuminated entry, Low tire pressure warning, Navigation System, Porsche Communication Management, Porsche Entry & Drive, Power Liftgate, Power moonroof, Premium Package Plus, Remote keyless entry, Traction control. Certified. Porsche Details: * 2 year/Unlimited miles beginning after new car warranty expires or from certified purchase date. Includes Trip Interruption reimbursement * Warranty Deductible: $0 * Transferable Warranty (between private parties) * 111 Point Inspection * Roadside Assistance White 2018 Porsche Macan Sport Edition AWD 7-Speed Porsche Doppelkupplung (PDK) 2.0L I4 Turbocharged Passion, Pride and Performance provided by Porsche of New Orleans. Experience the Ray Brandt difference! ORIGINAL MSRP $62,290, 19" MACAN DESIGN WHEELS, PREMIUM PACKAGE PLUS, POWER SEATS (14-WAY) WITH MEMORY PACKAGE, PORSCHE CONNECT PLUS, BOSE SURROUND SOUND SYSTEM, PORSCHE DYNAMIC LIGHT SYSTEM (PDLS), LANE CHANGE ASSIST (LCA), NAVIGATION MODULE FOR PCM, ROOF RAILS IN BLACK, WHEEL CENTER CAPS WITH COLORED PORSCHE CREST, TRAILER HITCH WITHOUT TOW BALL, ABS brakes, DVD-Audio, Electronic Stability Control, Front dual zone A/C, Heated door mirrors, Illuminated entry, Low tire pressure warning, Porsche Communication Management, Power Liftgate, Remote keyless entry, Traction control. Certified. Recent Arrival! Porsche Details: * Roadside Assistance * Warranty Deductible: $0 * 111 Point Inspection * 2 year/Unlimited miles beginning after new car warranty expires or from certified purchase date. Includes Trip Interruption reimbursement * Transferable Warranty (between private parties) White 2018 Porsche Macan AWD 7-Speed Porsche Doppelkupplung (PDK) 2.0L I4 Turbocharged Passion, Pride and Performance provided by Porsche of New Orleans. Experience the Ray Brandt difference! ORIGINAL MSRP $67,460, 20" RS SPYDER DESIGN WHEELS, AIR SUSPENSION INCL. PORSCHE ACTIVE SUSPENSION MANAGEMENT (PASM), AUTO-DIMMING MIRRORS, SIDE BLADES IN EXTERIOR COLOR, LANE CHANGE ASSIST (LCA), POWER SEATS (14-WAY) INCL. DRIVER MEMORY PACKAGE, PREMIUM PACKAGE PLUS, SPORT DESIGN SIDE SKIRTS, ABS brakes, Automatically Dimming Interior Mirrors, DVD-Audio, Electronic Stability Control, Front dual zone A/C, Front Seat Ventilation, Heated door mirrors, Heated front seats, Heated rear seats, Illuminated entry, Low tire pressure warning, Navigation System, Porsche Communication Management, Porsche Entry & Drive, Power Liftgate, Power moonroof, Premium Package Plus, Remote keyless entry, Traction control. Certified. Odometer is 782 miles below market average! Recent Arrival! Porsche Details: * 111 Point Inspection * Transferable Warranty (between private parties) * Roadside Assistance * 2 year/Unlimited miles beginning after new car warranty expires or from certified purchase date. Includes Trip Interruption reimbursement * Warranty Deductible: $0 Agate Gray Metallic 2018 Porsche Macan Sport Edition AWD 7-Speed Porsche Doppelkupplung (PDK) 2.0L I4 Turbocharged Passion, Pride and Performance provided by Porsche of New Orleans. Experience the Ray Brandt difference! ORIGINAL MSRP $63,600, 19" MACAN TURBO WHEELS, WHEEL CENTER CAPS WITH COLORED PORSCHE CREST, STEERING WHEEL HEATING, ROOF RAILS IN BLACK, NAVIGATION MODULE FOR PCM, LANE CHANGE ASSIST (LCA), PORSCHE DYNAMIC LIGHT SYSTEM (PDLS), ADAPTIVE CRUISE CONTROL (ACC), BOSE SURROUND SOUND SYSTEM, PORSCHE CONNECT PLUS, AUTO-DIMMING MIRRORS I.C.W. DRIVER MEMORY PACKAGE, PREMIUM PACKAGE PLUS, SMOKING PACKAGE, Front Seat Ventilation, Porsche Entry & Drive, Premium Package Plus. Certified. Recent Arrival! Porsche Details: * Roadside Assistance * Warranty Deductible: $0 * 111 Point Inspection * 2 year/Unlimited miles beginning after new car warranty expires or from certified purchase date. 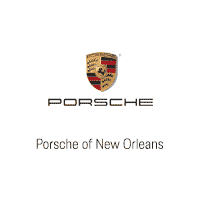 Includes Trip Interruption reimbursement * Transferable Warranty (between private parties) Black 2018 Porsche Macan AWD 7-Speed Porsche Doppelkupplung (PDK) 2.0L I4 Turbocharged Passion, Pride and Performance provided by Porsche of New Orleans. Experience the Ray Brandt difference! ORIGINAL MSRP $52,280, 18" MACAN WHEELS, DRIVER MEMORY PACKAGE, SEAT HEATING (FRONT), PORSCHE ENTRY & DRIVE, LANE CHANGE ASSIST (LCA), SMOKING PACKAGE, PORSCHE CONNECT, POWER SEATS (8-WAY). Certified. Odometer is 1432 miles below market average! Recent Arrival! Porsche Details: * 111 Point Inspection * Warranty Deductible: $0 * Transferable Warranty (between private parties) * 2 year/Unlimited miles beginning after new car warranty expires or from certified purchase date. Includes Trip Interruption reimbursement * Roadside Assistance Black 2018 Porsche Macan AWD 7-Speed Porsche Doppelkupplung (PDK) 2.0L I4 Turbocharged Passion, Pride and Performance provided by Porsche of New Orleans. Experience the Ray Brandt difference! ORIGINAL MSRP $65,760, 20" RS SPYDER DESIGN WHEELS, SPORT EXHAUST SYSTEM INCL. TAILPIPES IN BLACK, AIR SUSPENSION INCL. PORSCHE ACTIVE SUSPENSION MANAGEMENT (PASM), AUTO-DIMMING INTERIOR MIRROR, AUTO-DIMMING SIDE MIRRORS, SIDE BLADES IN EXTERIOR COLOR, LANE CHANGE ASSIST (LCA), POWER SEATS (14-WAY) WITH MEMORY PACKAGE, PREMIUM PACKAGE PLUS, 20" RS Spyder Design Wheels, ABS brakes, DVD-Audio, Electronic Stability Control, Front dual zone A/C, Front Seat Ventilation, Heated door mirrors, Heated front seats, Heated rear seats, Illuminated entry, Low tire pressure warning, Navigation System, Porsche Communication Management, Porsche Entry & Drive, Power Liftgate, Power moonroof, Premium Package Plus, Remote keyless entry, Traction control. Certified. Odometer is 2551 miles below market average! Recent Arrival! Porsche Details: * Warranty Deductible: $0 * Roadside Assistance * 2 year/Unlimited miles beginning after new car warranty expires or from certified purchase date. Includes Trip Interruption reimbursement * 111 Point Inspection * Transferable Warranty (between private parties) Black 2018 Porsche Macan Sport Edition AWD 7-Speed Porsche Doppelkupplung (PDK) 2.0L I4 Turbocharged Passion, Pride and Performance provided by Porsche of New Orleans. Experience the Ray Brandt difference!